In 1926, droves of Americans traveled by train across the United States to visit the West. They ate at Harvey Houses, where thousands of well-trained waitresses provided first-class service. The Waitresses: The Journal of a Harvey Girl tells the first-person story of one spunky girl, Kitty Evans, as she faces the often funny and painful experiences she and fellow waitresses Cordelia and Emmy endure. As Kitty writes about her escapades, a loveable teenager emerges; she embraces adventure, independence, her position as a Harvey Girl, and a freelance writing career. In this fast-paced novel, best-selling author Carolyn Meyer, who has visited and researched several Harvey Hotels, brings together an unforgettable heroine with the universal themes of friendship, identity, and young love. Carolyn Meyer is the acclaimed author of more than sixty books for young people, twenty of which are historical. Her many award-winning novels include Mary, Bloody Mary--an ABA's Pick of the Lists, an NCSS-CBC Notable Children's Trade Book in the Field of Social Studies, and an ALA Best Book for Young Adults--and Marie, Dancing, a Book Sense Pick. She is also the author of Cleopatra Confesses and Victoria Rebels. She lives in Albuquerque, New Mexico, here a Harvey Hotel and Restaurant was located. Visit Carolyn's website at ReadCarolyn.com. Queen Victoria's personal journals inform this "intimate and authentic portrait" (Booklist) of one of history's most prominent female leaders. Queen Victoria most certainly left a legacy--under her rule as the longest reigning female monarch in history. But what was she really like? To be a young woman in a time when few other females held positions of power was to lead in a remarkable age--and because Queen Victoria kept personal journals, this historical novel from award-winning author Carolyn Meyer shares authentic emotional insight along with accurate information, weaving a fascinating story of intrigue and romance. 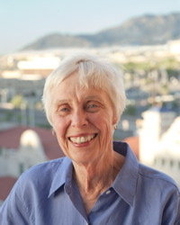 Carolyn Meyer is currently considered a "single author." If one or more works are by a distinct, homonymous authors, go ahead and split the author. Carolyn Meyer is composed of 5 names. You can examine and separate out names.